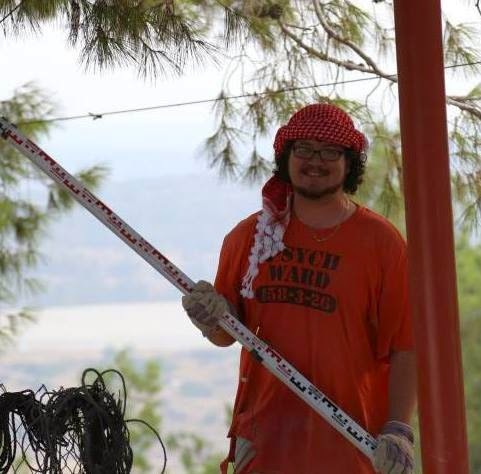 Dan is a 28 year old single male who currently lives in Tel Aviv and is a student and archaeologist. I met Dan in Israel a few years ago during an OTD meetup, where he told me that he is learning under Professor Israel Finkelstein at the Tel Aviv University. Before we start, I would like to ask you how it is to learn under Professor Finkelstein? One of the first books that I read that catapulted my apostasy was the book The Bible Unearthed: Archaeology’s New Vision of Ancient Israel and the Origin of Its Sacred Texts he wrote together with Neil Asher Silberman. Finkelstein is great. He’s an amazing scholar and a great teacher. Very instructive, very ‘socratic’. I mean we have lectures and seminars and stuff too, but during our meetings and stuff, its very informal. Just asking questions, and responding, creating a conversation / discussion about what I’ve done, what I think, and where and how to progress forward from there. He’s a great scholar to study under, because in addition to the actual material, he is a very successful professional scholar with lots of appointments and publications, and learning under him is providing useful for learning (at least the beginning stages) of how to do that for myself. A note / addendum, though: Israel is only my secondary advisor. My primary adviser is Dr Guy Steibel, who is equally learned, accepting, friendly and a good teacher / mentor.